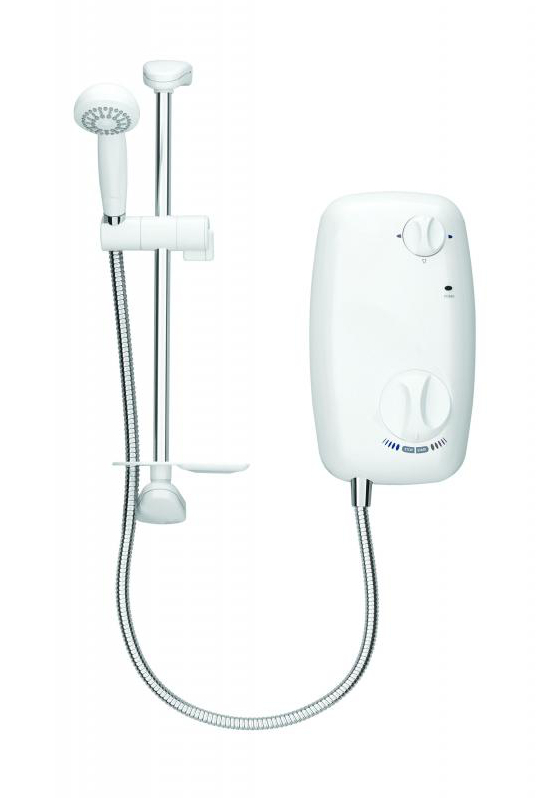 Like any home appliance the Galaxy Aqua 1000 electric shower can sometimes run into problems through wear and tear or accidental damage. If your shower has recently been fitted it is likely still under the manufacturer's warranty. Depending on the fault you may be entitled to a replacement. If your warranty has expired you may find that a replacement part is all you need to get it up and running again. How do you replace the flow valve? The replacement is fairly straight-forward and shouldn't require specific instructions. Ensure that the water and power to the electric shower are off before removing the front cover. To get enough space to slip the old part out and new part in you have to dismantle most of the inside of the unit. This may sound more difficult than it actually is. However, you have to be methodical while noting where screws/nuts etc. come from and what goes where. You may want to take photos as you go along so you have something to refer to when rebuilding. The replacement is fairly straight forward. Turn off the water and power. Remove the existing valve top being very careful to observe (take photos) the order and orientation of the parts as you take them apart. This sounds more difficult than it actually is, however you do have to be methodical noting where screws/nuts etc. come from and what goes where. If you take photos as you go you can always refer to them when you are rebuilding. First check that the main valve coming in to your house is fully open. Then check any additional valves running up to your shower. If all the valves are open it may be a faulty element in the heating tank- there are 2 or 3 depending on the kW of your electric shower. You can check the heating element using a multimeter; testing the resistance should give you a reading of between 12 and 18 Ohms. One of these problems may have caused the TCO (Thermal Cut Out) to become faulty and can be tested using a multimeter. A faulty TCO will have no continuity across the two terminals (the black thing on top of the heating tank). A faulty TCO will only have power at one connection- a good TCO will have power at both.